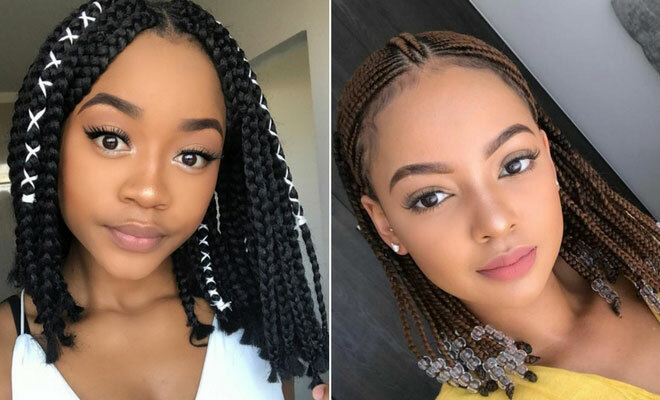 One of the must have hairstyles for 2018 is the style called bob braids. It is stylish and is a great choice for the summer. 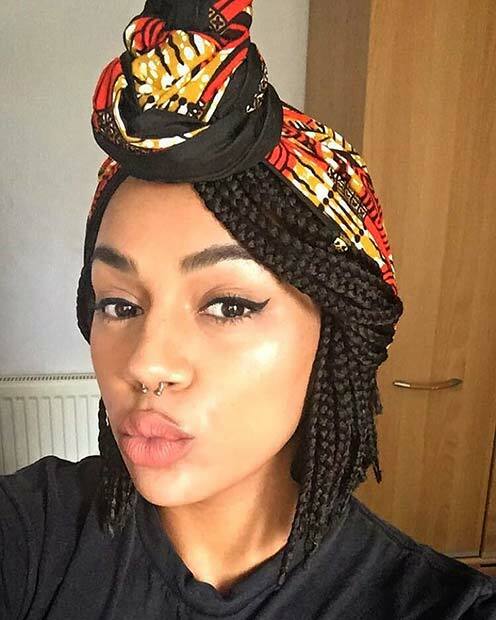 We love this trend and think you will too, so we have found 23 of the best bob braids look. No matter what style you like from simple braids to colorful ones, there is a gorgeous bob to suit you. 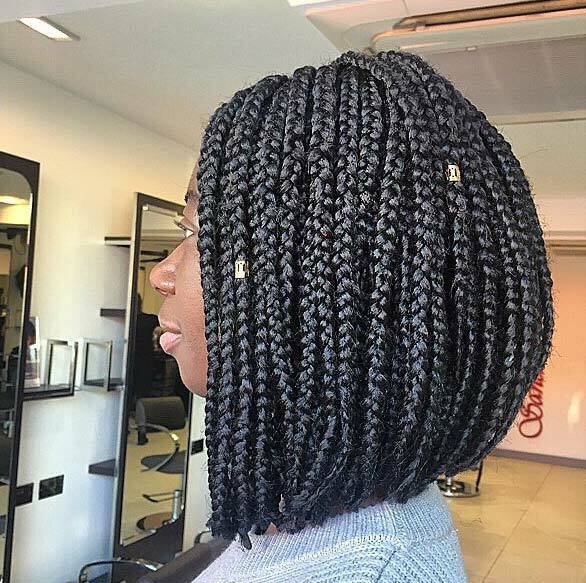 First up we have this beautiful box braids bob. 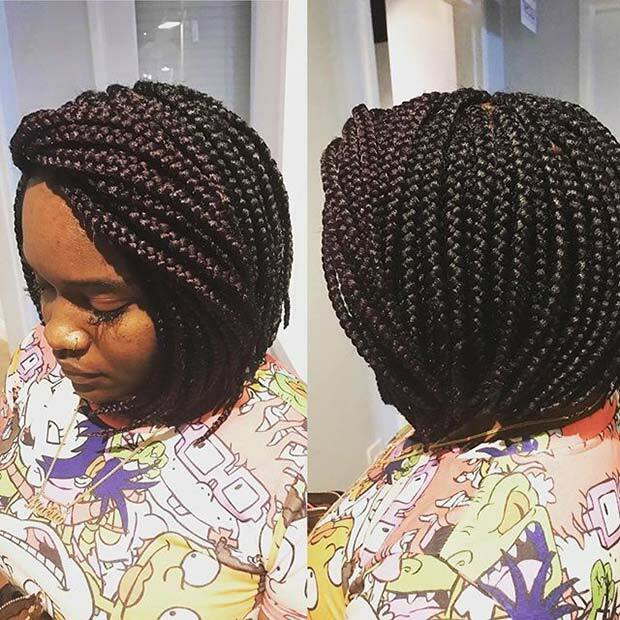 The braids are thick and sit just above the shoulders. A bob like this will suit everyone, it is a stunning hairstyle that will wow. 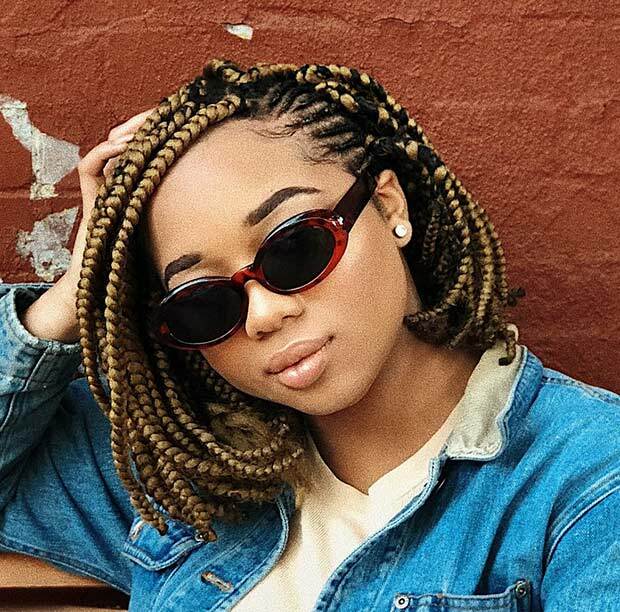 Braided bobs like this one are chic and won’t go out of style. We love this look! Next, we have a trendy bob that will give everyone hair envy! 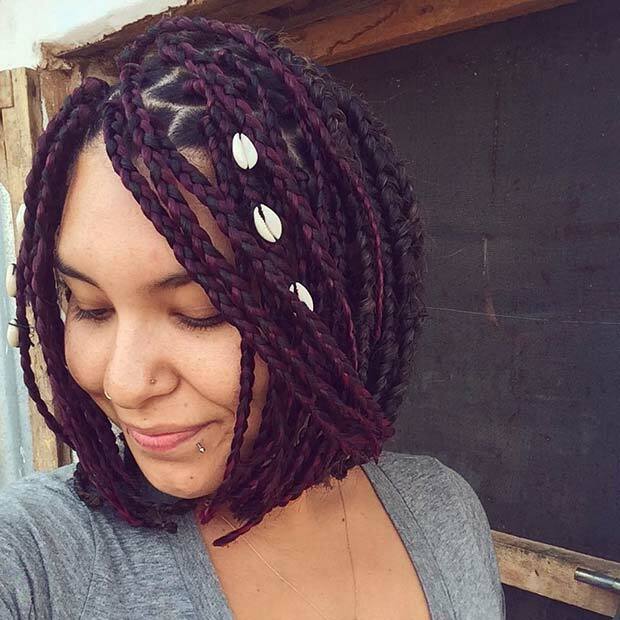 This bob has thinner braids and has braid cuffs. It is a gorgeous style combination and the cuffs look amazing with the braids. You can also see a hint of blonde braids at the bottom to. Blonde and black braided bobs will look super stylish for the summer. Want to add a flash of color to your hair? Then try adding in some colorful braids like these! This bob features thick braids with dark purple ones added in. It is a fun hairstyle that is perfect for the summer. 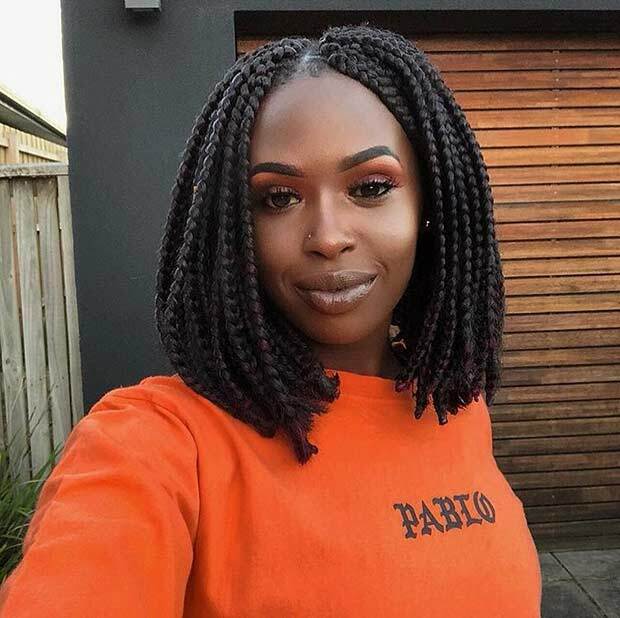 You could recreate this look with any color braids, adding in your favourite color is a great way to make the hairstyle unique to you. This cute braided bob is a modern update of the classic hairstyle. You could recreate a hairdo like this with different braid thicknesses and even add in some vibrant colors. 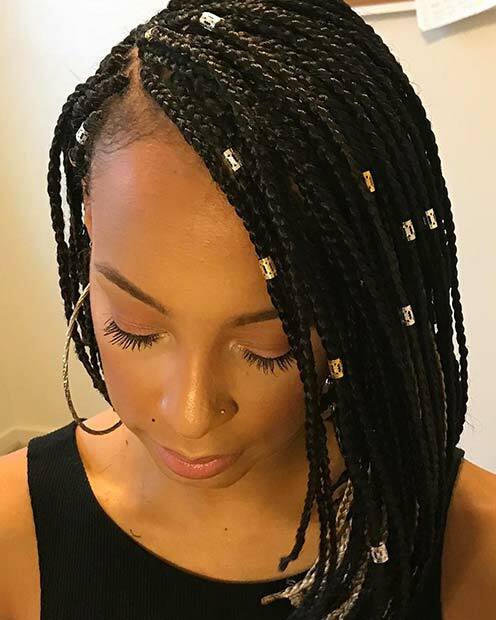 Shorter braids like these ones are easy to maintain and feel light on the head. We have found a cute hairstyle that is perfect for the summer! This short bob has a statement braid with shells weaved into it. Something like this would look amazing for a day at the beach or a vacation. It is a beautiful hairdo that is perfect for any summer boho babes. 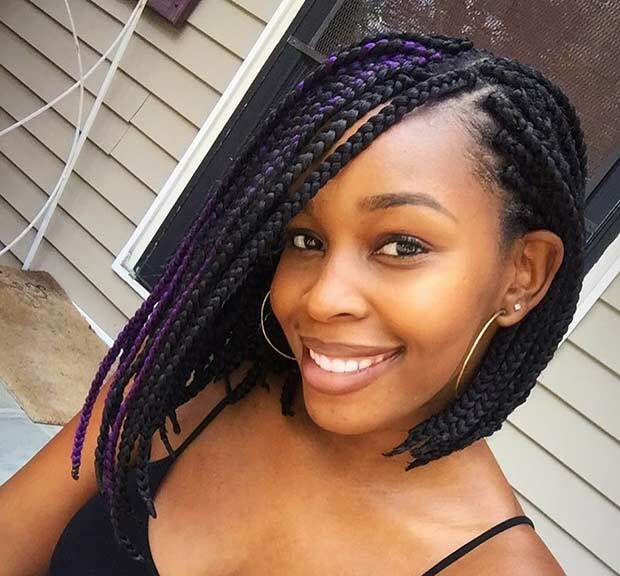 Our next pick is a beautiful braided bob that features different colored braids. Most of the braids are black but there a few are around that are a warm shade. Even though the color change is subtle compared to the more vibrant looks, it is still very eye-catching and trendy. Something like this is great for the ladies that want to add some new colors without being too bold. The bob style can be mixed up to create a unique look. This bob has a slight length change, making it longer at the front and shorter at the back. It isn’t a dramatic difference but it does give the bob a fresh and trendy update. The braid cuffs are also a stylish touch. You could recreate it as it is or make the length difference a little bigger to create a bold style. Simple hairstyles can be jazzed up with a headscarf. This bob looks great with the vibrant headscarf. Styling your hair like this just gives it a unique look. You could have any scarf in any pattern or color. With a hairdo like this the possible looks are endless. Try choosing something bold and bright to suit the summer. Our next pick is very chic. It features beautiful braids that are in a side part and that are swept into a gorgeous subtle wave. 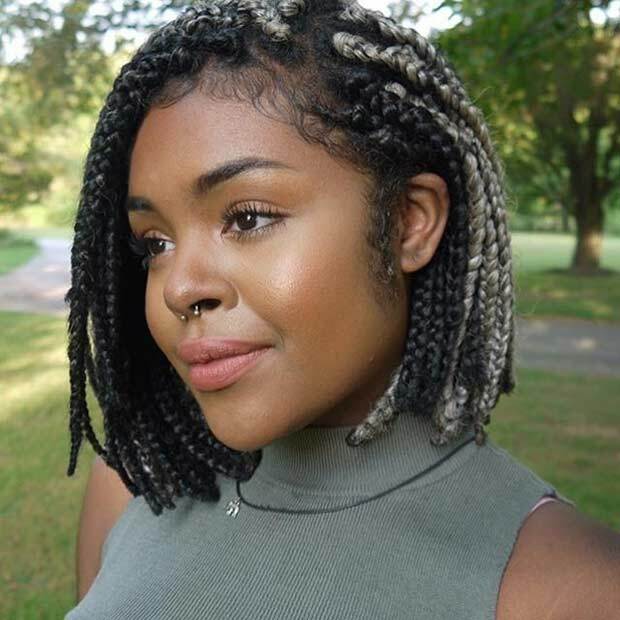 Braided bobs like this are a great choice if you want a hairdo that is soft and pretty or if you have a special occasion coming up. Next, we have a bob that is perfect for the statement makers! 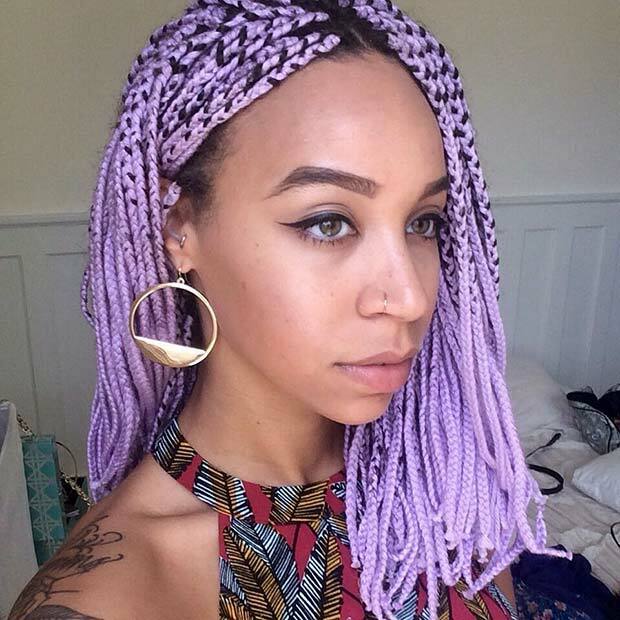 This bob features vibrant, light purple braids. It is a unique hairstyle that suits the fun season of summer. You could have a bob like this created in any color. Try and choose your favourite color or something bold that will wow.